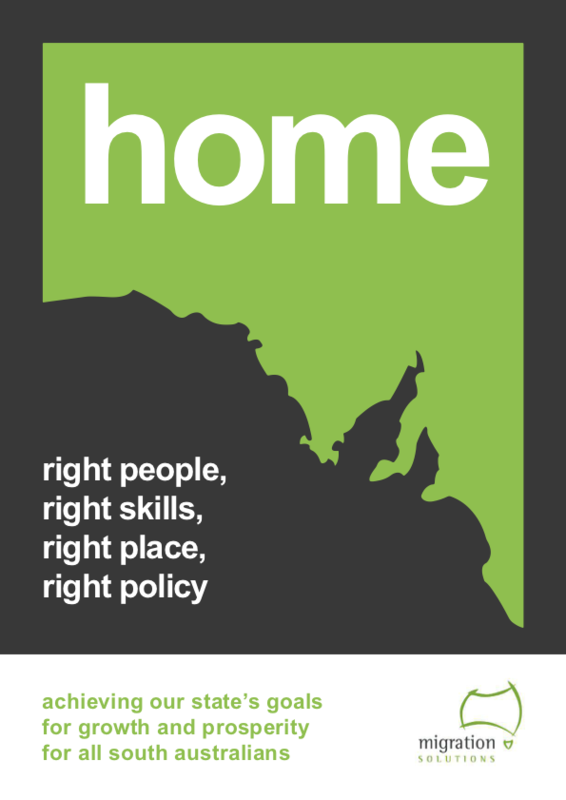 Home: right people, right skills, right place, right policy, is a report that includes analysis and commentary on the unintended consequences of the Federal Government’s changes to the immigration programme for Adelaide, regional Australia and their third biggest export market; international students. Home draws from research undertaken by the South Australian Centre for Economic Studies (SACES) at The University of Adelaide, which was commissioned by a consortium of businesses and peak bodies. SACES research found that the exodus of productive workers interstate, declining natural population growth and the 2017/18 legislative changes that limit immigration will limit population growth in South Australia. It is believed that, as a result, South Australia’s population will start to decline in 3 – 5 years and they are unlikely to achieve their 2027 population target of 2 million. Given the proven link between population growth and economic growth, Home presents 14 strategies to turn this trend around and grow prosperity for South Australia.